· Experience the use of problem solving as an instructional strategy in the classroom for promoting mathematical thinking. Registration deadline is Friday, Aug 12, 2016 (by 4:30 p.m.). For registration please contact with (PTAN c/o IED-PDC, 1-5/B-VII, F.B. Area, Karimabad, Karachi-75950) for queries please email us at ied.ptan1@aku.edu or Tele: 021-36826991-94/36347611-14 Cell: 0316-283-8307 Ext. 8556 Facebook PTAN. Available seating will be assigned on a first-come, first-served basis, and the registration will be closed once the workshop has been fully subscribed. 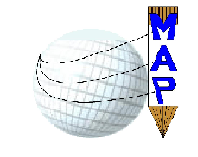 We look forward to your active participation in the workshops and other activities of MAP.